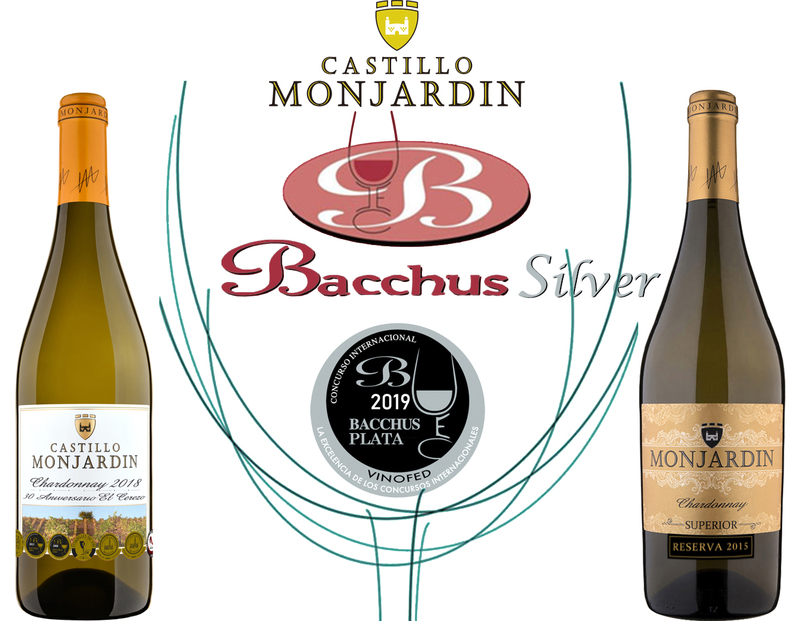 Another year, Bodegas Castillo de Monjardín has been well valued in the worldwide Bacchus contest. With 2 Gold medals to our ROSE BRUT NATURE RESERVA SUPERIOR and RED WINE ROBLE 185. We have also received 2 Silver medals to our CHARDONNAY RESERVA SUPERIOR and CHARDONNAY EL CEREZO, both awarded this year with 2 Gold medals in Mundus Vini. Bacchus is the great Spanish event with the world of wine, coming from all over the world. Four days in which the more than 1,500 participating wines and a hundred tasters make Madrid the wine capital of the world. oenologists. A roster of national and international first level professional judges. No wine-related event held in Spain manages to bring together the list of expert tasters that make up the panel of judges of Bacchus.